This Website is part of a multinational effort to bring you the latest information about emerald ash borer. Heard about the new invasive tick? 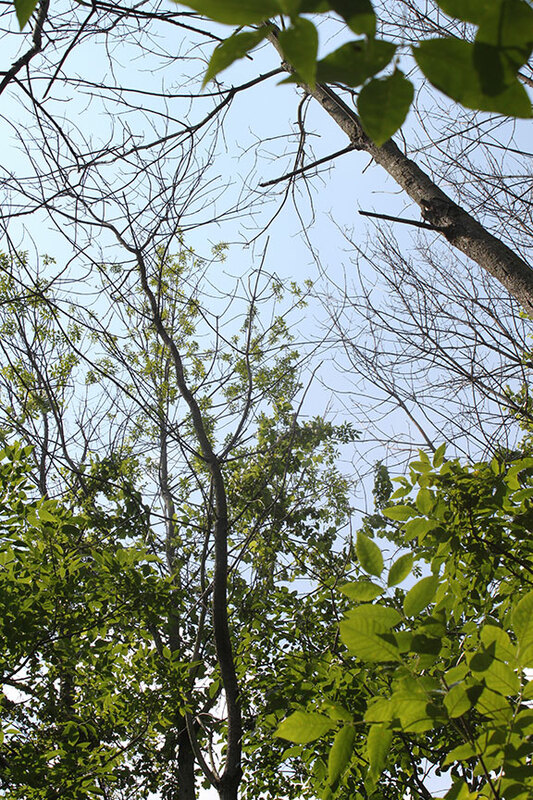 Worried about that dead ash tree in your yard? Learn about how to deal with these and many other problems in EABU's spring webinar series on invasive species. All webinars are free and many can be used towards continuing education programs (contact Elizabeth Barnes for details). Can’t watch it live? No problem! All webinars are recorded and posted online after the talks. To register go to this link. You've been accepted to EABU! 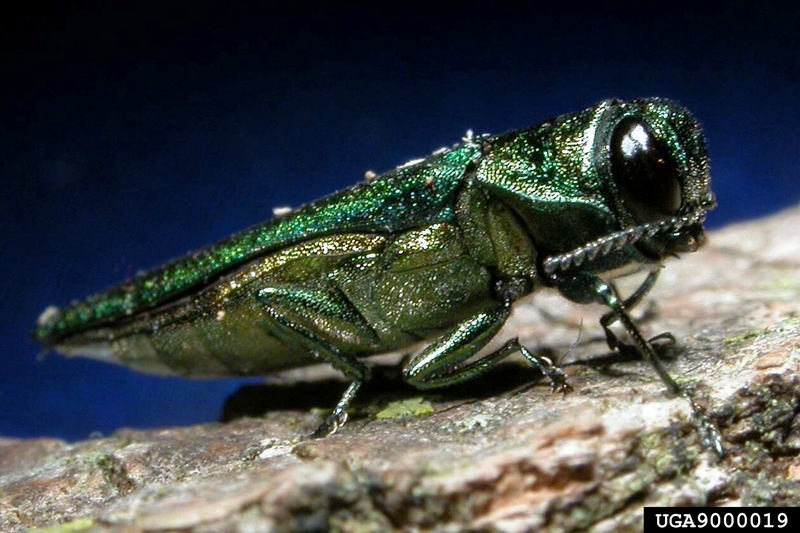 Emerald ash borer (EAB), Agrilus planipennis Fairmaire, is an exotic beetle that was discovered in southeastern Michigan near Detroit in the summer of 2002. The adult beetles nibble on ash foliage but cause little damage. 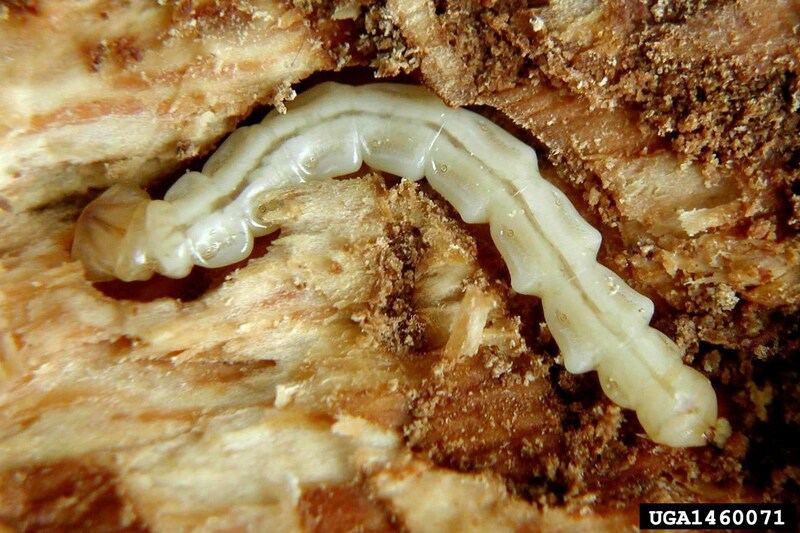 The larvae (the immature stage) feed on the inner bark of ash trees, disrupting the tree's ability to transport water and nutrients. 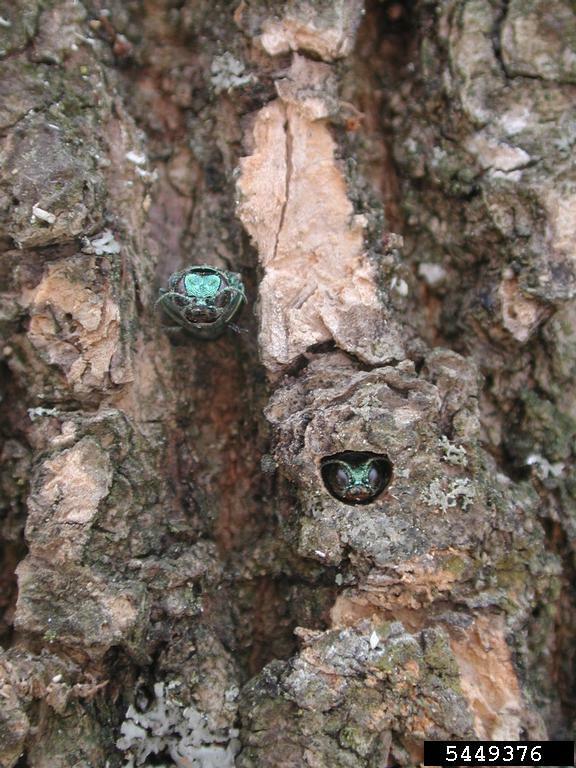 Emerald ash borer probably arrived in the United States on solid wood packing material carried in cargo ships or airplanes originating in its native Asia. As of October 2018, it is now found in 35 states, and the Canadian provinces of Ontario, Quebec, New Brunswick, Nova Scotia and Manitoba. 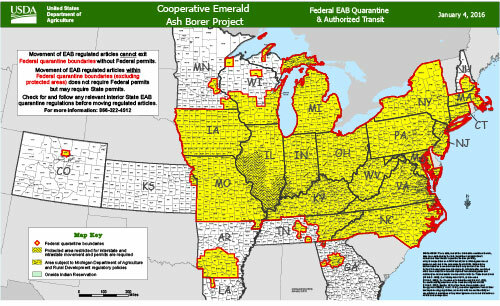 Caused regulatory agencies and the USDA to enforce quarantines and fines to prevent potentially infested ash trees, logs or hardwood firewood from moving out of areas where EAB occurs. Cost municipalities, property owners, nursery operators and forest products industries hundreds of millions of dollars. 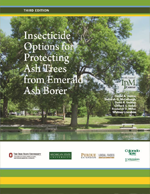 This bulletin answers your questions about, and offers insecticide options for controlling EAB. This endorses ash tree conservation in urban areas as part of an integrated EAB management program. 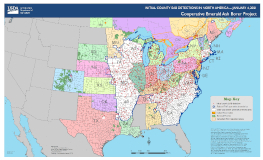 It is supported by university scientists, commercial arborists, municipal foresters, public works officials, and non-governmental organizations (NGOs). Get the most current information about emerald ash borer from our popular EAB University webinars or follow us on Twitter for the latest news about EAB. The Spring 2019 EAB University line-up of webinars has been posted!